Funeral of Sinead Bean DeValera. (H82)..1975..09.01.1975..01.09.1975..9th January 1975..Today saw the funeral of Sinead Bean DeValera take place at the Pro Cathedral, Dublin. She was the wife of Ex-President Eamon DeValera. Mrs Devalera was a noted author of childrens literature..Mrs DeValera, Born 3rd June 1878. 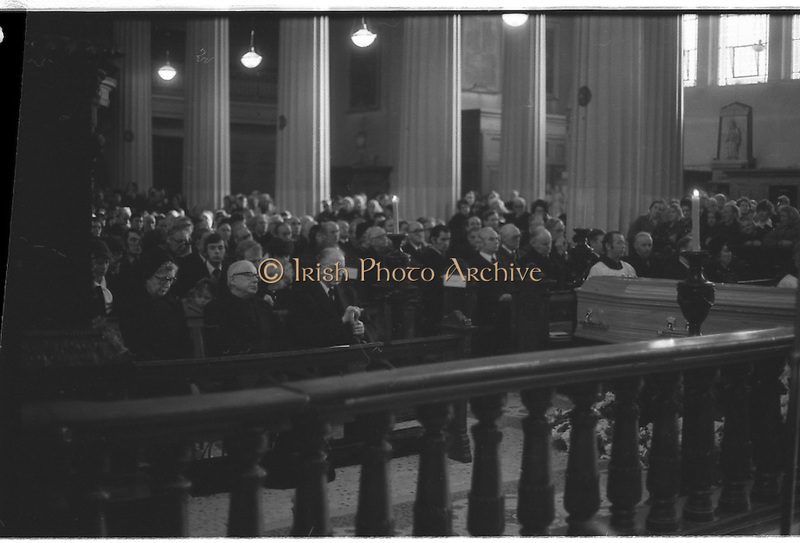 Died 7th Jan 1975...Image of a grieving Eamon DeValera attending requiem mass for his wife Sinead.